It’s been foggy here lately. And by foggy, I mean the real deal, where you can not see what’s 2 steps in front of you and no sunlight is showing during the day. Non at all. This is weather is not typical for the latitudes where I live. Usually, in the middle of January, there is lots of snow and the temperatures are far below 0°C. If we get fogs, this happens in November, definitely not in the middle of the winter. And this time the fog came to stay. For nearly 10 days it was hard to tell whether it was day or night. 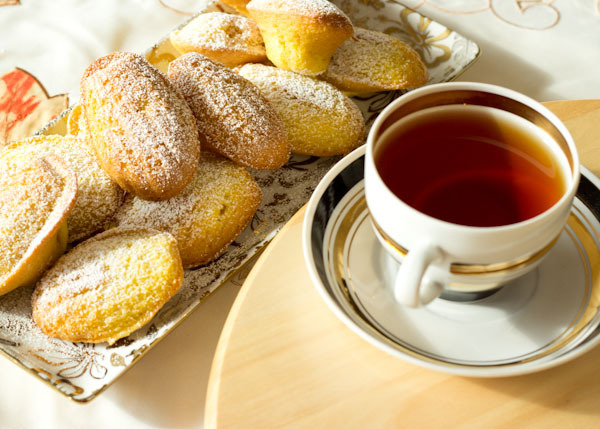 The same day, after I got home, I decided that the time has come for the Madeleines to happen. 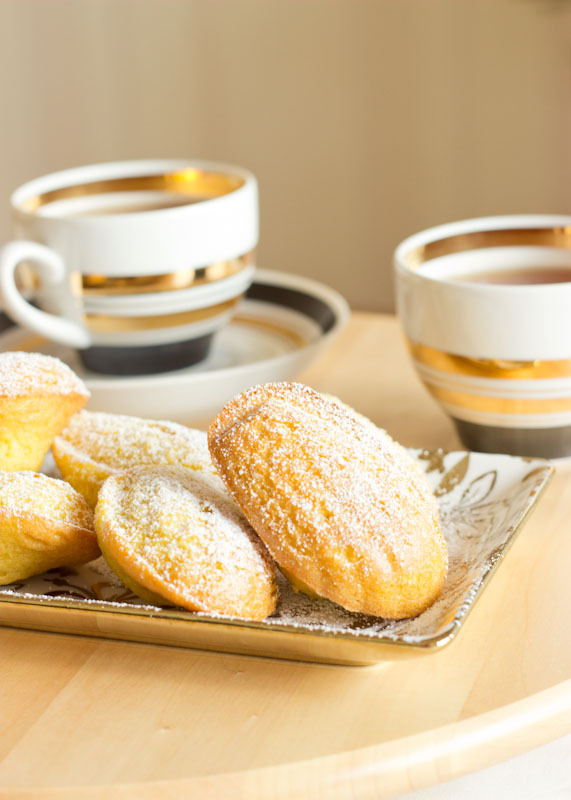 You see, I have admired these beautiful cookies, pretty much from day one of my pastry affair, but I couldn’t find a Madeleine pan for a few months, because there is definitely a shortage of baking supplies in my country. When I finely found a Madeleine silicone mold (still no pan), I was ecstatic, and couldn’t wait to try it. And somehow, as it usually happens, I got distracted with other projects and other beautiful recipes. 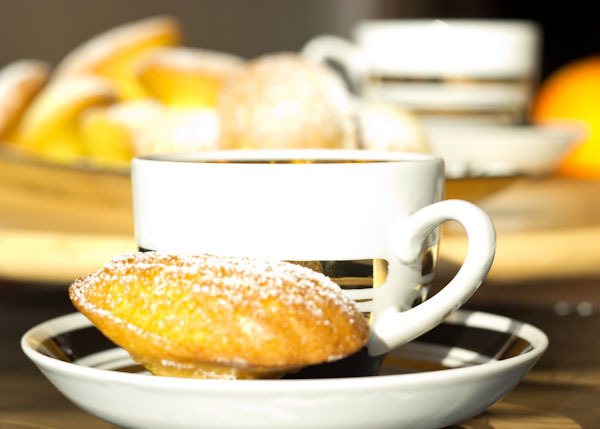 So, after a very long and undeserved postponement, the other day the Madeleines finally happened. Trust me, you want to try this. They are just as light and exquisite as you’ve herd. I have seen in various recipes the explicit condition to leave the batter in the fridge overnight in order to achieve the lightness, and since it was my first time making these cookies, I observed the rule. 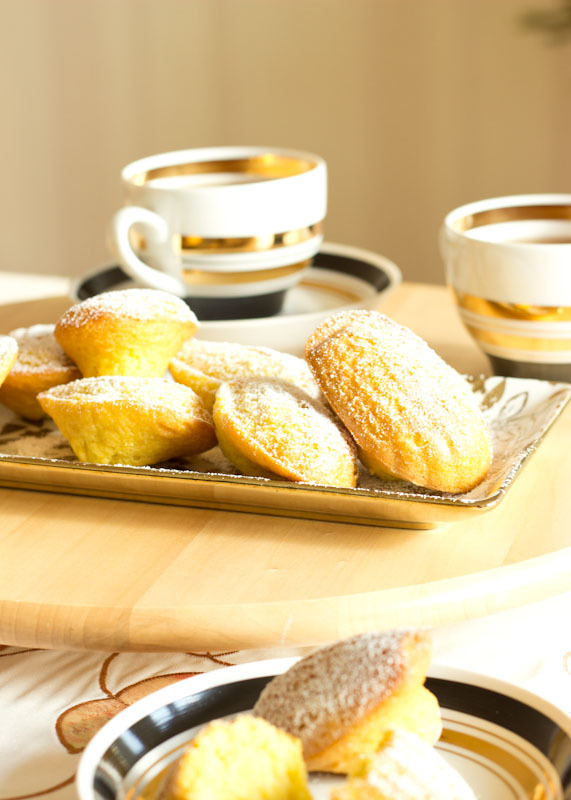 It ended up great, because Saturday we had a wonderful accompaniment to our morning coffee. 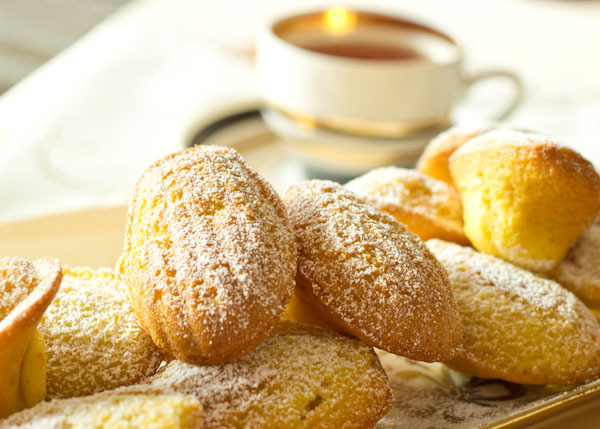 I urge you not to put the Madeleines off for as long as I did, and go make them now, so you can indulge tomorrow. And by the way, they are very easy, and you don’t need to go to the store, because the ingredients are already in your kitchen. *All ingredients must be at room temperature. 1. Whip the eggs and sugar with the whisk attachment for 4-5 minutes until pale and thick , and the batter makes a thick ribbon when poured. 2. Sift the flour and the baking powder and fold them to the egg mixture. 3. Add the melted butter, the vanilla extract and the orange zest to the batter and fold gently until fully incorporated. 4. Leave the batter covered in the refrigerator overnight. 5. Preheat the oven to 190°C (370° F). Butter and flour a Madeleine pan, if using silicone molds, this is not necessary. Put the cookies in the oven and immediately decrease the temperature to 170°C (340° F) and bake for 10 minutes until golden brown. 6. 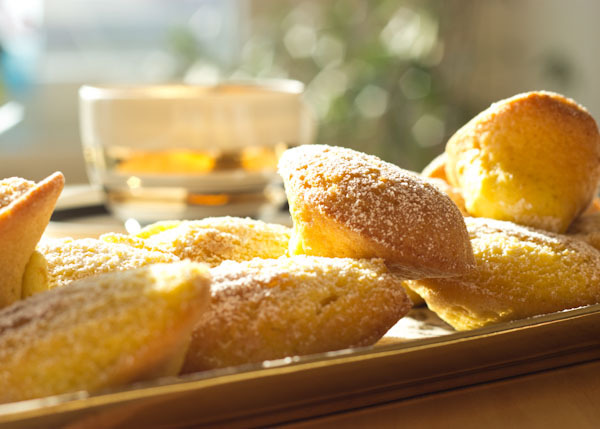 Let the Madeleines cool in the pan and later put them on a wire rack until completely cooled.